August 2015 Fish of the Month Entry - Boat Bass! August 2015 Fish of the Month Entry - Beach Bass! August 2015 Fish of the Month Entry - Shad Ferox! GAC Fish of the Month July 2015 Winners! August 2015 Fish of the Month Entry - Loch Fyne Lumpsucker! 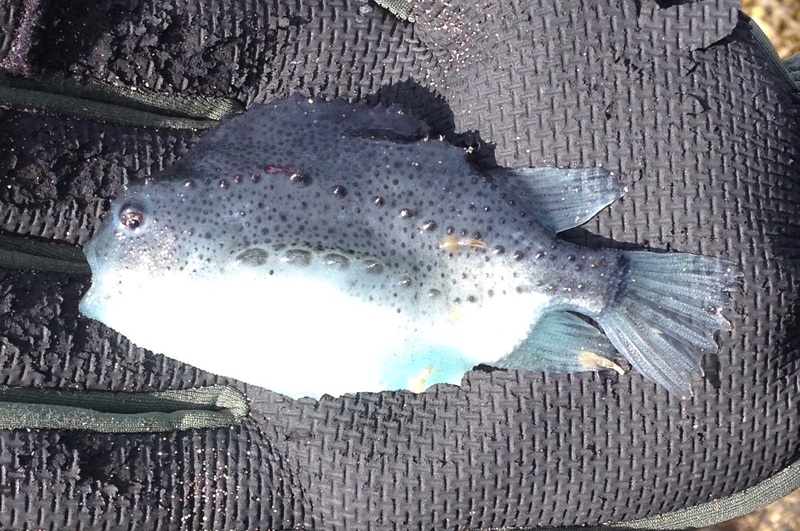 Brian Saunders caught this unusual Lumpsucker on Ragworm while fishing from the shore at Loch Fyne - his favourite capture to date despite it's size! Safely returned after a photo. You can vote for this picture to win on Facebook by selecting it in our August 2015 FOTM gallery HERE and hitting the 'Like' button! Don't forget to share all your favourite entries to help them win too! If you would like to enter our FOTM competition and have the chance to win £100 to spend at GAC, simply send us a photograph of you and your catch, when and where you caught your fish, and what tackle and method you used through this page of our website. You can also enter instore - just ask any member of staff for assistance. The best entries will be featured on both our Blog and Facebook page!